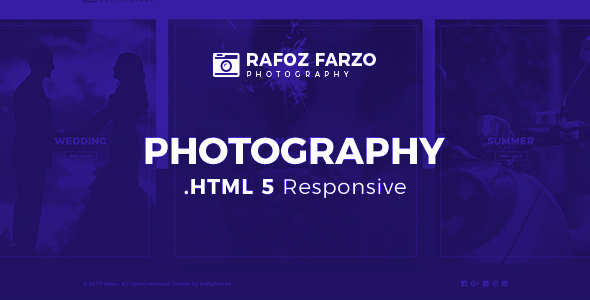 Rafoz Farzo is the best photography template on the market to help photographers, bloggers. Rafoz Farzo was built with awesome Twitter Bootstrap 4 and it features huge number of cool HTML5 pages. Beautiful design will help make your site better. Customization allows to customize any element of the website under you. We’ve done absolutely clean code for you. Since the template is responsive, the layout will adapt to different screen sizes which will make your website compatible with any device such as smart phones, tablets and desktop computers. Maximize the visibility of your website by making it fully responsive and compatible with all kinds of devices and resolutions. Maximum readable, well-structured and reusable HTML code structure, with clear, descriptive data for the contents. 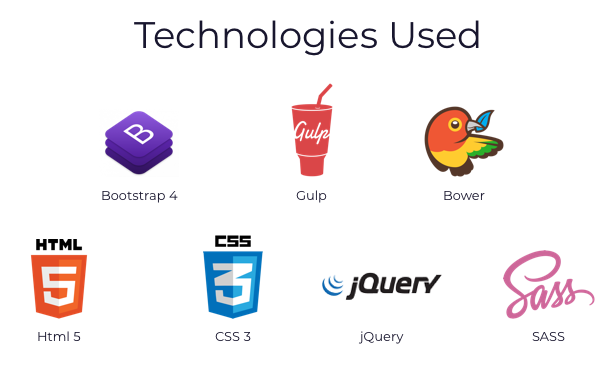 Achieve a one-of-a-kind website performance with a boosted loading speed and the removal of any bootlenecks. SEO-ready HTML5 files featuring well-written code, commented to make the editing much easier. Coded carefully to be SEO-optimized in order to rank your site higher in search engines for high traffic. Although there are only a couple of browsers that dominate the market, we had to make sure our theme runs properly on all of them. Best possible solutions to faced issues regarding included features within 24 hours on weekdays. Rafoz Farzo has a clean and professional design which will be a great solution for your business. Since Brailie is retina-ready your website will look stunning on retina devices. You will just upload the HD versions of your images and Brailie will take care of the rest.